We are a results driven fitness center that caters to the entire family. We offer many amenities to help you on your fitness journey. Whether you are a beginner or advanced, Sculpt 24 Fitness can create a program to help become successful at achieving all of your health and fitness goals. With our wide range of amenities and highly trained staff we have created a one stop shop for all of your health and fitness needs. 30 Minutes of H.I.I.T. training with principles of Kickboxing uses heart rate monitors to keep your workout intensity high. Both a physical exercise philosophy and a competitive fitness sport, CrossFit incorporates elements from multiple high-intensity exercises. Fill out the form below to reserve a complimentary one hour fitness consultation with one of our fitness professionals! The consultation includes a fitness assessment, goal setting, Fit3D Body Scan, and a functional workout. A member of our staff will contact you to confirm your consultation. 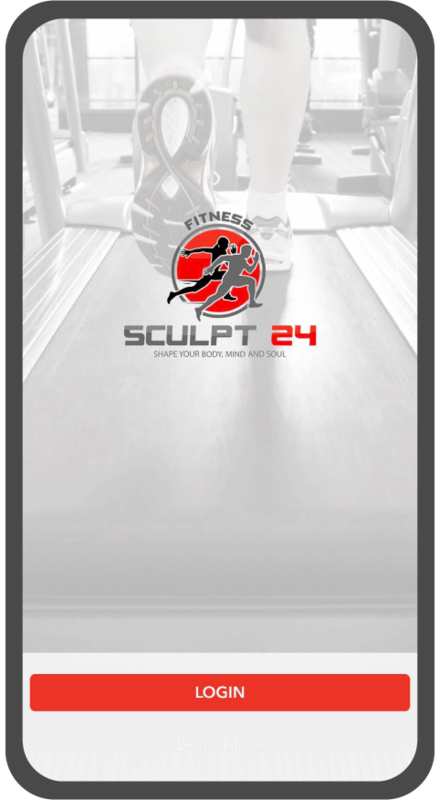 The Sculpt 24 Fitness app is a tool to help reach your fitness goals. The app allows you to record workouts, count calories, and participate in fitness challenges that will give you the motivation and accountability to be successful with your journey. My training experience at Sculpt 24 has been great! Each workout has a purpose and the results have been better than I could have imagined. Working with Haley has changed my perspective on working out from something I "should do" to something I "want to do". I regret not joining years ago!